I have just subscribed to your newsletter as this is, without a doubt, the most fantastic guide to anywhere!!! Am hoping to visit Norfolk in Spring next year with my dog and, having never been before, I wanted lots of information all of which I have now found. Thank you. Comments for Fantastic website - thank you! 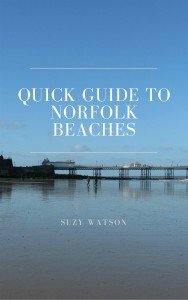 Thank you so much for you wonderful comments and I'm delighted that you found all the relevant information you need before you visit Norfolk. I hope you have a really good time. Join in and write your own page! It's easy to do. How? Simply click here to return to Comments!.